0-12 months is the best time for the baby to develop the foundation of the strength of their limbs and the build of their bone structure. Giving the baby a conducive environment for the healthy development of the body and mind, makes the baby feel warmth and love. The goal is to enable to baby to learn and accept giving love, accepting love, and generation of care, concern and optimism. Using an inflated balloon, tie it with a tough string and hand it at the top of the baby, preferably at the baby's bed, high enough for the baby's legs to reach. 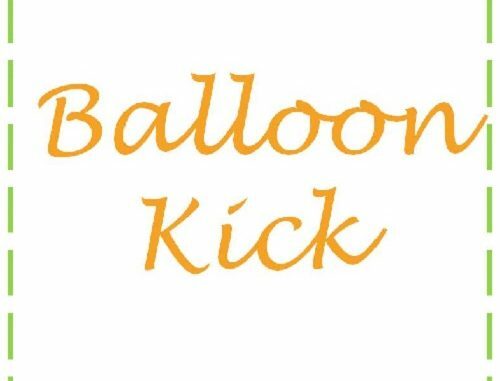 Gently bring one of his legs to kick the balloon and encourage him by kicking the balloon for a few times. Repeat for the other leg. The balloon should not be too big and should be of a bright colour like red so that it can easily catch the baby's attention. Try to wave the balloon in front of him slowly so that he is able to touch it, building his self esteen and confidence. During the game, it is important for the parent to maintain eye contact with the baby so as to build up his self esteem and enthusiasm.